The Uttarakhand High Court has imposed a cost of Rs 25,000 on the Centre for misleading the principal bench of the Central Administrative Tribunal in New Delhi into staying proceedings in a service matter instituted by IFS officer Sanjiv Chaturvedi before the Nainital bench wherein he had sought quashing of his poor appraisal report for year 2015-16 during which time he had served as CVO, AIIMS, on central deputation and highlighted several cases of corruption in the country’s premier medical institute. Finding the attitude of Centre towards Chaturvedi "vindictive", the high court also quashed the July 27 order of CAT’s principal bench by which the proceedings before the Nainital bench were stayed. 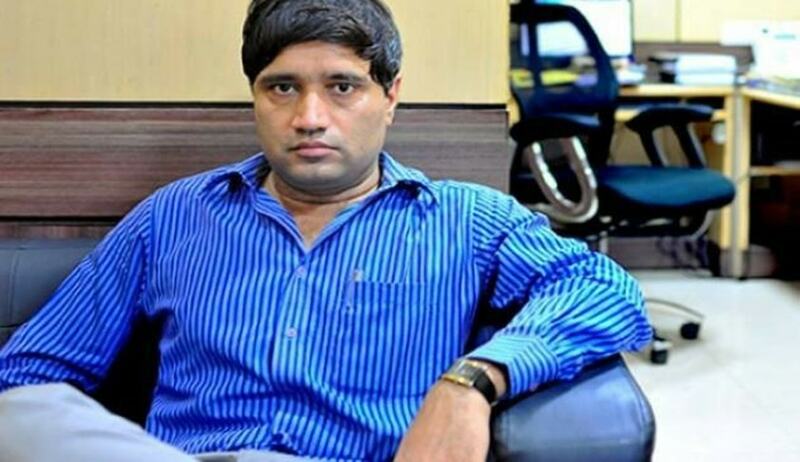 The order of the high court came on a petition moved by Sanjiv Chaturvedi, who is at present posted as Conservator of Forests (Research) at Haldwani. Chaturvedi was forced to move court after the proceedings in his application for quashing of poor ACR before a division bench of Nainital CAT was stayed by the CAT Chairman, while sitting singly on an application moved by the Centre while Chaturvedi was away to Finland for mandatory foreign training. The stay was granted at a time when the Nainital bench had heard the matter extensively over 13 hearings and was at final stage. "…we are of the considered view that the chairman of the Tribunal while sitting simply could not stay the proceedings of the matter...the order dated July 27 is also laconic and non speaking. The order passed by the chairman while sitting singly is wholly without jurisdiction. "The attitude of the respondents towards petitioner is prima facie vindictive," said a bench of Acting Chief Justice Rajiv Sharma and Justice Manoj Kumar Tiwari. Chaturvedi, an officer of Uttarakhand cadre (originally Haryana cadre), was on central deputation from June 2012 to June 2016 during which period he served as CVO, AIIMS, and took action against large-scale corruption. Thereafter, he rejoined Uttarakhand cadre and started serving at his current posting. In January, 2017, he was served his Annual Performance Appraisal Report wherein adverse entries had been made for year 2015-16. In May 2017, Chaturvedi approached the Uttarakhand High Court seeking quashing of the appraisal report and seeking other incidental reliefs but was asked to approach CAT. He then approached the Nainital Circuit Bench of CAT, which issued notice to the Centre and AIIMS in July 2017. Chaturvedi said this was in accordance with Rule 6 of the CAT Procedure Rules, 1987 which gives liberty to the officer concerned to file the case before a bench as per his place of posting and he was served the appraisal report in January 2017 when he was posted in Haldwani in Nainital district under the Government of Uttarakhand. In September 2017, the Nainital bench granted him interim relief by ordering that his appraisal report shall not be considered for any service matter. It is to be noted here that Chaturvedi had earlier moved the principal bench of CAT seeking two reliefs—quashing of a communication of displeasure sent to him by AIIMS on January 7, 2016, which had led him into apprehending that he would be under-rated for the relevant period 2015-16 and the second relief that the respondents be restrained from recording anything adverse in his appraisal report for 2015-16. The second prayer ultimately became infructuous with an adverse report being served on him in January 2017. Having left New Delhi in June 2016 after completing his tenure at AIIMS and with three cases pending before CAT, Chaturvedi moved applications for transfer of these cases to Nainital bench citing practical hardships in travelling to Delhi from Uttarakhand for every hearing. The principal bench headed by CAT Chairman issued notices on these transfer petitions in November 2017. Pursuant to this, the Centre moved a transfer petition seeking transfer of his application for quashing of adverse appraisal report from Nainital circuit bench to principal bench New Delhi, on which notices were issued “without hearing the petitioner/without service of advance copy to the petitioner, though, the Institute itself had mentioned in Transfer Petition itself that except the petitioner, all other respondents are proforma respondents only”. In the meanwhile, the Nainital circuit bench continued the hearing/interim relief order. On July 27, 2018, when Chaturvedi was away on foreign training, the Centre “surreptitiously” moved an application for stay of proceedings before the Nainital bench “on flimsy ground of lack of jurisdiction of Nainital Circuit Bench (though the jurisdiction was very well established under Rule 6 of CAT Procedure Rules, 1987)” and that similar reliefs had been sought in various applications pending before the principal bench. The principal bench of CAT passed ex-parte interim orders staying the proceedings. “This was in violation of Section 24 of the Act as neither the copy of stay application was served nor the petitioner was heard before passing the said order. Further the impugned order did not mention as to what irreparable loss was going to be caused to Union of India and Institute, had the said interim order not been passed. In further violation of Section 24, the said interim order was made for a period of six weeks while the rules mandated it only for 14 days,” Chaturvedi told the high court. Chaturvedi argued before the high court that the interim stay was obtained by the Centre through misrepresentation of facts about similarity of reliefs in various applications pending before the principal bench and that before the Nainital bench. “The impugned order suffers from patent factual inaccuracy as the sole ground has been made that of so-called similarities in reliefs sought in applications pending at Principal Bench, New Delhi) and the one pending before Nainital Circuit Bench,” he said, adding that while the plea before the Nainital bench is for quashing downgraded appraisal report of financial year 2015-16, the other two before the principal bench are for inter-cadre deputation to the Delhi Government and for quashing of a Displeasure Memo issued by the institute. Chaturvedi also submitted that the July 27 stay order “infringes upon legal rights of the petitioner, arising out of statutory provisions of Rule 6 of CAT Procedure Rules, 1987 which gives absolute right to the applicant, aggrieved by any action of the State, in service matters, to decide the place for filing application”. He also argued that “the CAT Chairman has power to transfer a case from one Bench to another Bench in exercise of his administrative powers/functions. This administrative powers/function does not partake of any judicial power. Power to grant stay of a judicial order must be specifically conferred on an authority. Such power is inherent in an appellate or revisional authority. The power of staying proceedings before a Bench of CAT can be exercised only by a higher judicial authority vested with the power to modify or set aside the order”.